Looking Forward to Learning More in the Years to Come! Mike Bassey joined Winrock International in April 2011. Mike is a Certified Accountant and has a Master’s in Business Administration from the University of Roehampton, London. Before his work with F2F, Mike managed the Drucker Center for Entrepreneurship Development (DCED) of the Kaduna Business School before joining the World Bank/Government of Nigeria Micro, Small and Medium Enterprise (MSME) project. Working with Farmer-to-Farmer (F2F) volunteers has in many ways strengthened Mike’s motivation to do his own volunteering. In his free time Mike heads a Parish of the Redeemed Christian Church of God as a volunteer Pastor and enjoys fixing simple plumbing and carpentry. I started out just like most young Nigerians: not wanting to study or have anything to do with farming or agriculture; I wanted to become a certified accountant. After achieving that goal and working in a for-profit, efficiency-driven environment, I felt professionally unfulfilled. 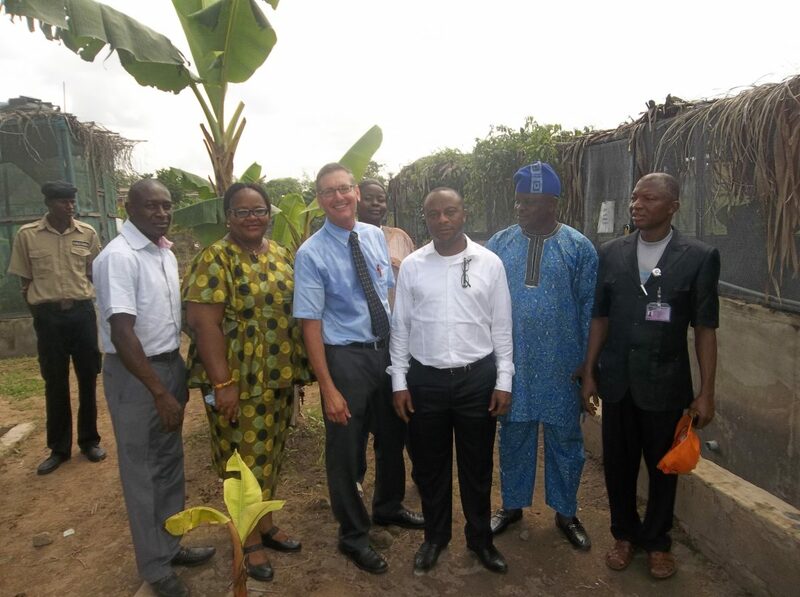 However, when I began managing a World Bank/Government of Nigeria agricultural and tourism value chains development program focusing on opportunities for smallholder farmers to increase productivity, income and overall improve their livelihoods, it opened my eyes to the how rewarding the agriculture sector could be. Leslie Harris Cosgrove – I learned about business and project development for grant funding. I learned about the components and the documents (strategic plan, revenue-raising plan, and platform statement) required for successful grant proposal writing as well as the art of winning grant proposal writing. 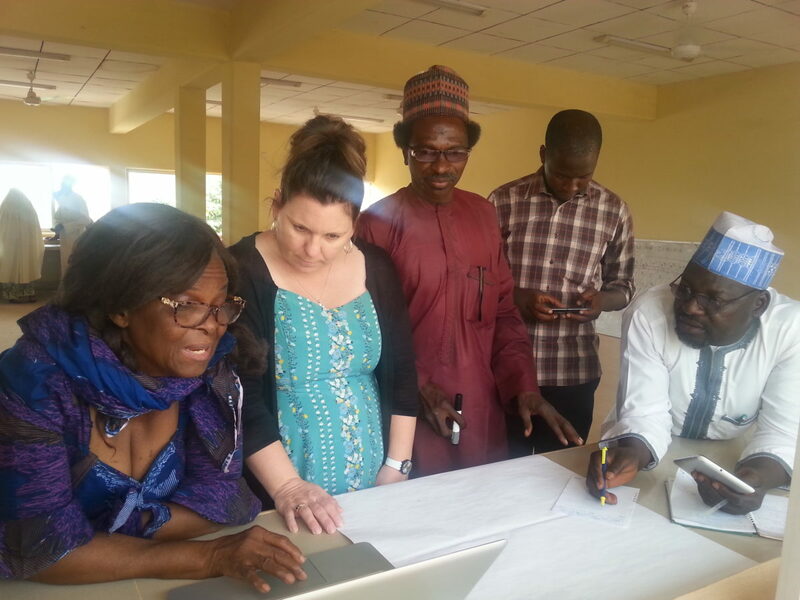 Two of the most resounding experience working with a) Leslie was seeing the faculty of the Osun State Polytechnic, Iree, Osun State rise from a practically zero Ph.D. research grants to 26 Ph.D.D research grants in three years following the 2015 training to the leaders and faculty of the institution; and b) the formation of the Net which she co-facilitated with Professor Chris Igodan of the Ohio State University. Mathew Baker, a professor from the Texas Tech University –Dr. Baker and I had several great discussions on leadership development and managing people. 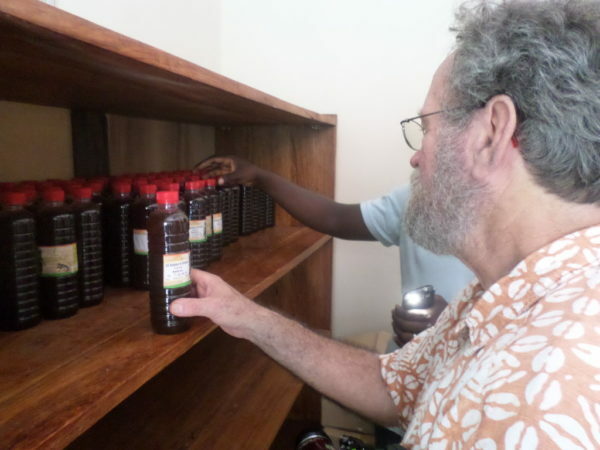 It was a huge surprise when, upon returning to the US, Dr. Baker asked me to do a one-page write-up on ‘community extension service’ – one of the topics we discussed during his visit. This resulted in a paper that was jointly presented by Baker and me at a conference at the Ohio State University. Jolene Warnke-Roszel – I learned about the dangers inherent in abuse and pesticides misuse; to the applicators, farmers and their families, livestock, communities as well as consumers through air pollution, contamination of source of drinking water and farm products. I also learned about ways to minimize the hazards associated with these chemicals. Jennifer Kushner – I learned lessons about general monitoring and evaluation and specifically learned how to develop a program logic model. 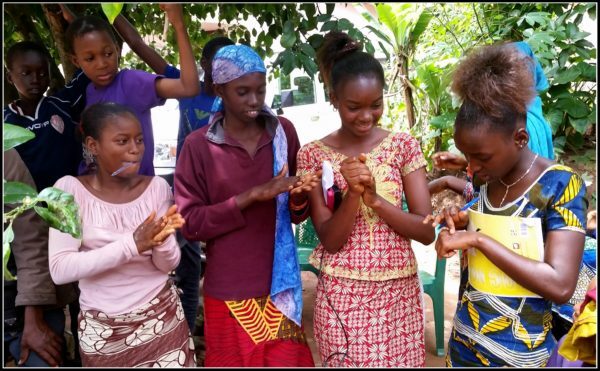 I worked with the volunteer and the Nigeria F2F team to develop a logic model for the Network for Agricultural Technical Education’s Making Agriculture Glamorous and Attractive to Nigerian Youth Initiative. Teresa Morris – I learned so much about sustainable agricultural practices – best practices in natural resource (soil and water) maximization and management, composting, etc. I have always considered myself fortunate to interact with these highly skilled professionals and benefit from these relationships. Especially since they provide me with a huge resource base for me to continue to leverage. The new program presents me with yet another excellent opportunity to continue to deepen my learning experience. 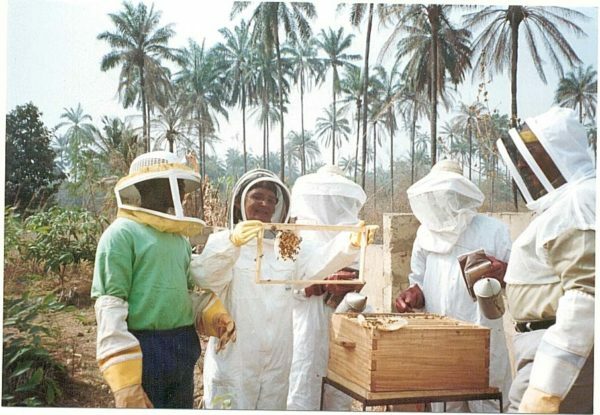 At the request of Samaru College of Agriculture, Nigeria Jolene spent 17 days in Zaria Kaduna State assisting the college developing training and training materials for integrated pest management and pesticide safety. She also helped them develop a curriculum for a certification class that the host will offer its students. 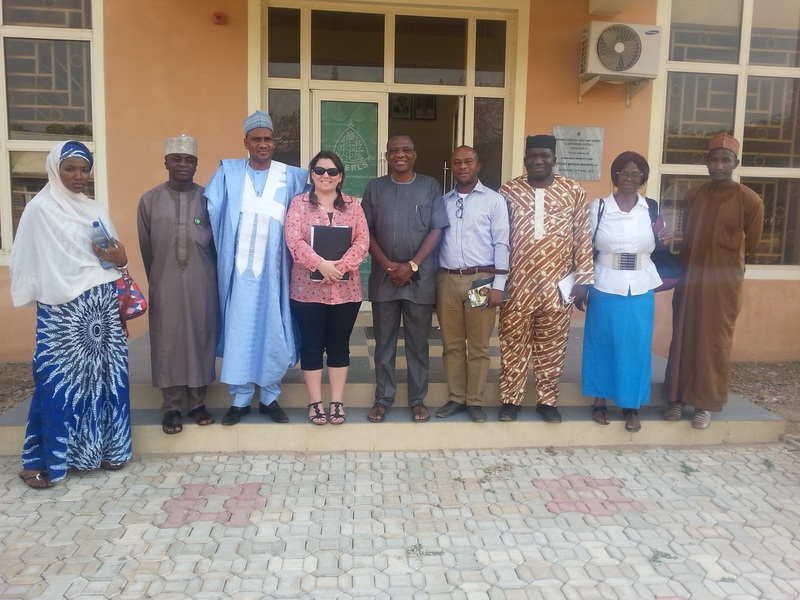 My second Winrock assignment to Zaria, Nigeria to work with the Samaru College of Agriculture in pesticide safety and integrated pest management was as eventful as my first with the bonus of working with the same wonderful staff as before. I felt like I made friends during my first visit and it was nice to catch up, update each other on the past few months, discuss families and home life, and of course how the projects were going. My second assignment built upon my first and I used it as a chance to evaluate the progress that was made and provide some valuable feedback. I am impressed by their willingness to learn from us, volunteers. 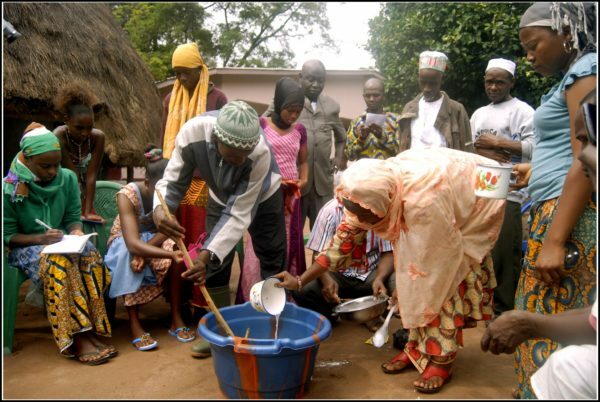 While it can be challenging to adapt certain first-world practices to their environment, the participants are always seeking better solutions and are willing to adjust practices. Sadly, some of the efforts are stalled by lack of infrastructure, goods, and resources, and manpower. Nonetheless, the participants view new knowledge as an opportunity to set new standards and find solutions. Pest management and pesticide use, which are worldwide problems, is an ongoing discussion. 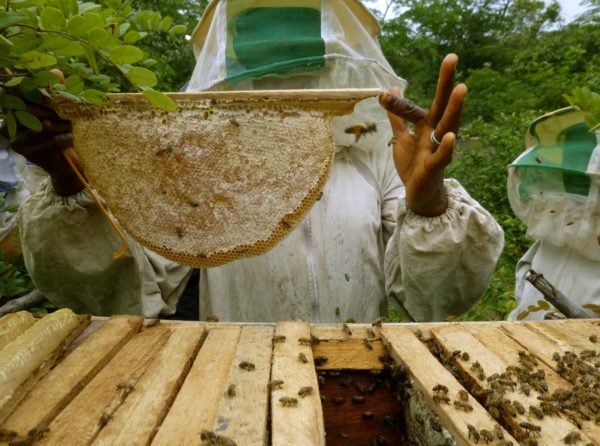 I have found that while there can be some unique environments, they face the same challenges as other countries and they are just as concerned about human and livestock health, environmental impacts, and sustainable farming practices. I was impressed with the amount of information they retained from my last visit and we were able to continue some of the large conversations we had last time. I feel their increased knowledge is being put to good use and they will continue to grow. My time with them has also given me a new perspective on pesticide education in my own community as well an introspective evaluation of my own life. 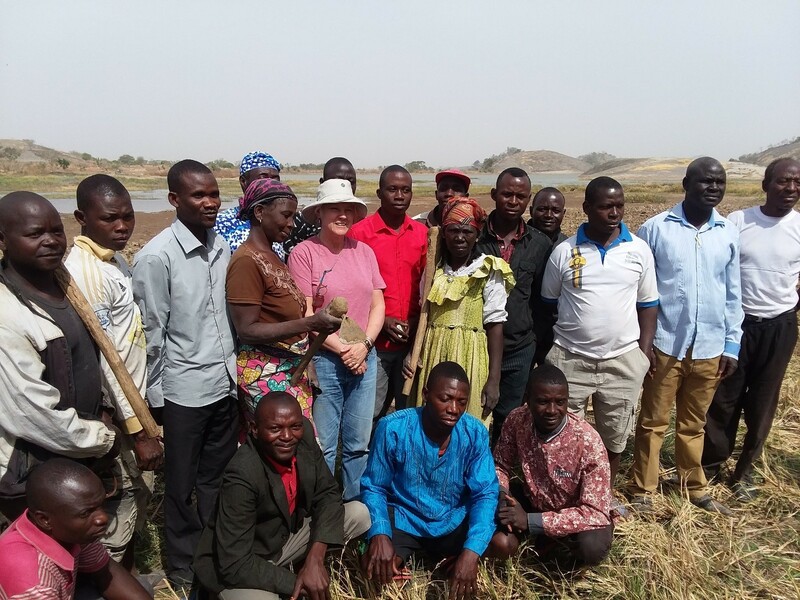 Having worked with farmers that have so little, I can better understand how to work with limited resources in my own community, how to find solutions in strained situations, and how to guide people to protect themselves with limited support. I feel an increase in energy, creativeness, ingenuity, and determination to solve challenging issues that benefit my family and community. For that, I am very thankful. 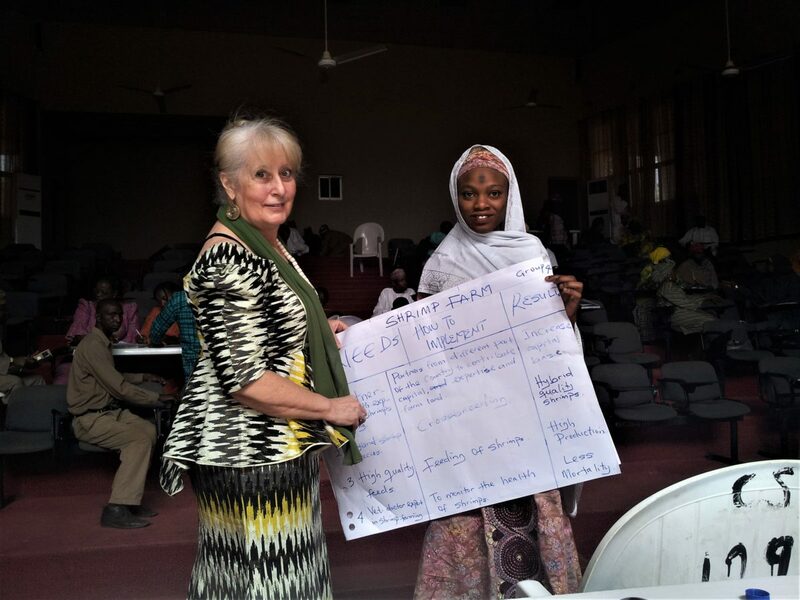 Jolene was nominated by the Nigeria Farmer to Farmer team because she demonstrated a commitment to the success of her assignments and never tired of the frenzied hours of hard work – developing training materials, training the host in necessary skills and capabilities. 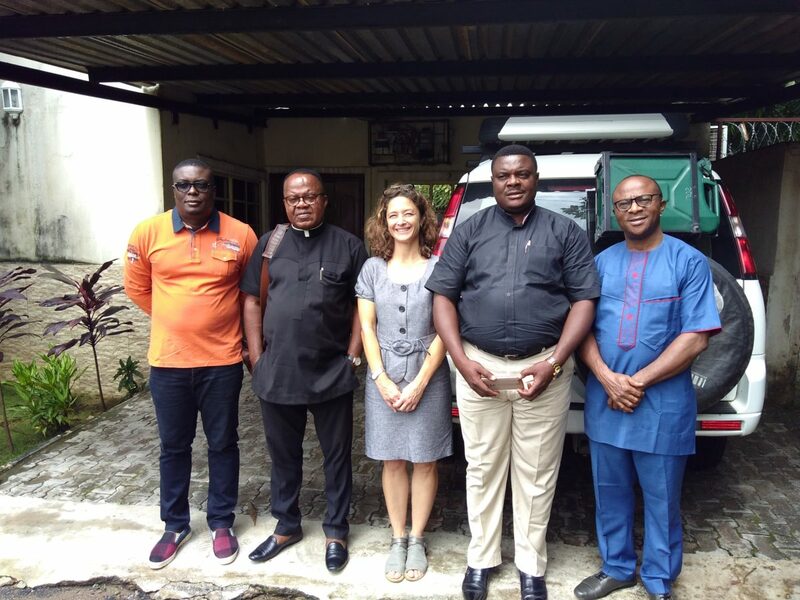 Country Director, Mike Bassey, said “Outside of Jolene’s scope of work, she accepted a request by the National Agricultural Extension and Research Liaison Services (NAERLS) to travel to a NAERLS-adopted farming community to hold an interactive session with farmers in pesticides safe use. 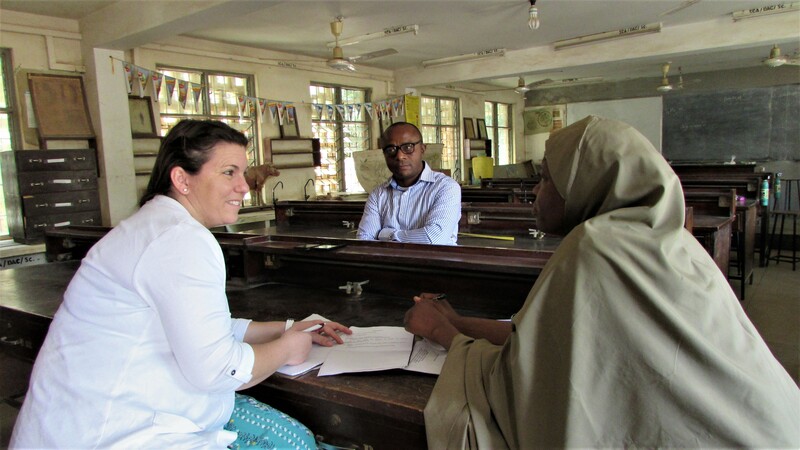 This collaboration helped pave the way for the implementation of a follow-on assignment.” Further, Jolene continued to work with F2F country staff after she returned to the US! 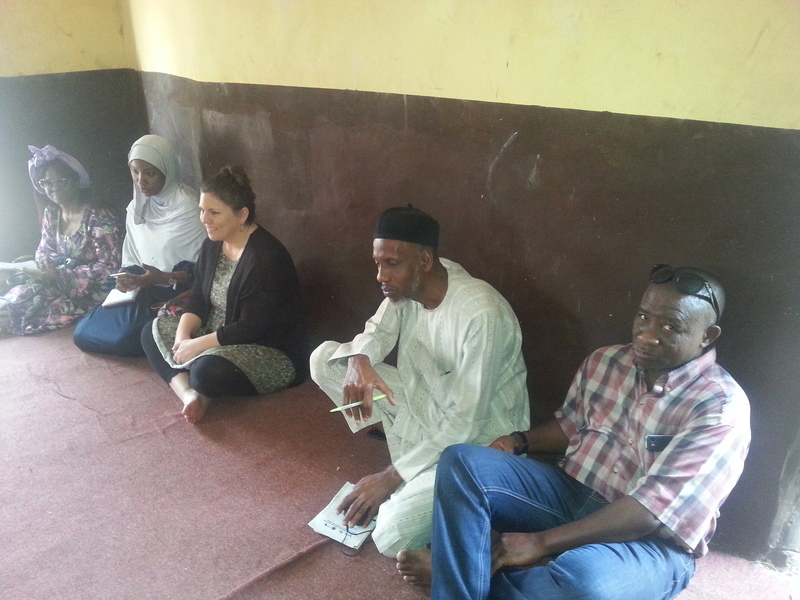 We asked Jolene to reflect on her volunteer experience and the trip to Nigeria. Read on to see what she had to say! I’ve always volunteered in my community, which is very important, but the idea of being able to expand beyond my local borders and reach people who live completely differently than I do is exciting. I love challenges and I felt that this opportunity would challenge me on a personal and professional level and really stretch the depth of what I can do and who I can reach. The most recent assignment in March provided an opportunity for me to meet a few village leaders and provide some pesticide safety training to farmers directly. That was my first experience using an interpreter to translate from English to the native language of Housa and although it was a new experience it was received well and appreciated by the farmers. How does your experience affect your worldview? Even with extensive media outreach in today’s world, nothing impacts a person more than an actual experience. The differences in cultures, lifestyles, values, environment can’t be truly realized through video and pictures in the same way as being there. Meeting real people in real time creates a bond and you always find that you have something in common with each person you meet even with large disparities in where and how you live. It also gives you so much to reflect on, how so much of the world struggles with basic needs yet people live happily without material things. Use your opportunity to meet and have real conversations with as many people as you can. Don’t be afraid to accept their invitations to culture and new experiences. We grow the most when we move outside of our comfort zone and they will want you to share everything possible about yourself and your life. Don’t be afraid to do so. How have your assignments made a difference in your own life? /Has your assignment caused you to do anything differently once you returned? Absolutely! I always thought material things were a low priority for me but now even more so. I purged so much stuff when I came back from my first assignment! I regained my love for art and culture and looked for more ways to share my talents. I thank God every day for clean water and air, security and my family’s wellbeing and for even having the opportunity to venture and see the world. Winrock is the most amazing organization. They provide incredible opportunities and really support their volunteers. I always feel I can reach anyone with questions, get advice, or details from my assignments. Being able to talk to previous volunteers is a bonus as well. Professionally, I have always been in science and education or a combination of the two. I’m also a mom and artist, who loves all things outdoors such as camping, hiking, biking, scuba diving, and beekeeping. I feel that the most successful volunteers have support from their families. My daughter is my inspiration; I want to be a role model for her, to show her how to serve others, to be selfless and adventurous and to share her talents with others who can benefit from them. Winrock is such a solid organization and I believe in their mission. The professional atmosphere, the host organizations they work with, the value received from the inputs, and the experience as a whole provides amazing opportunities for all those involved. What, if anything, has surprised you on your assignments? I am amazed at how engaged everyone is during the assignment. Even in cultures where time schedules are flexible and fluid and learning environments are not standardized, everyone is engaged and willing to learn. They show a real desire to soak up as much information as you can provide. They are inquisitive and anxious to use the information you provide. I was really surprised that as much as the internet and media can reach now, there are still huge disparities in the type and quality of information that reach people. 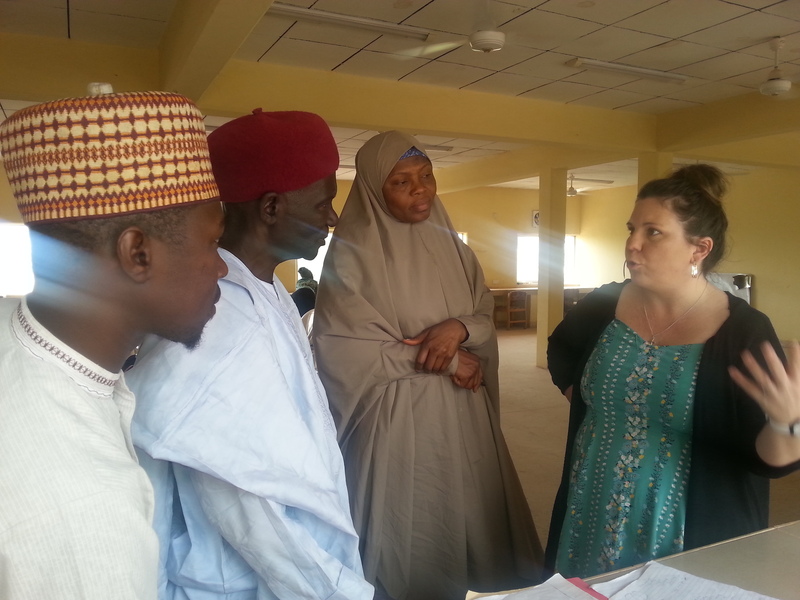 On February 9, 2018, Farmer to Farmer (F2F) volunteer, Teresa Morris, arrived in Abuja, Nigeria on her first visit to the country and her first F2F assignment; to provide a training-the-trainer workshop in Developing Curricula and Training of Trainers in Farm Administration and Management to Nehemiah Foundation International. I was thrilled when I received an email inviting me to join the volunteer team of Winrock International. 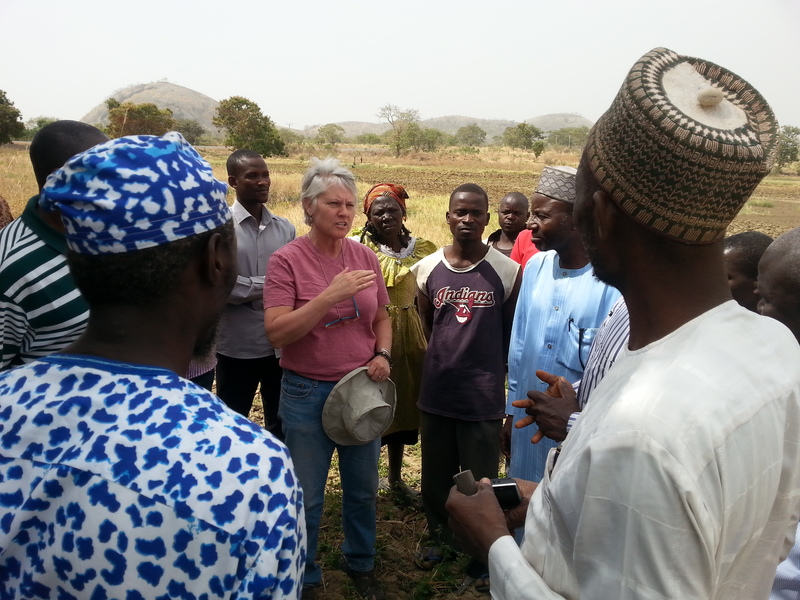 My credentials matched me with a volunteer position in Kaduna, Nigeria working with small acreage farmers interested in sustainable farm management. 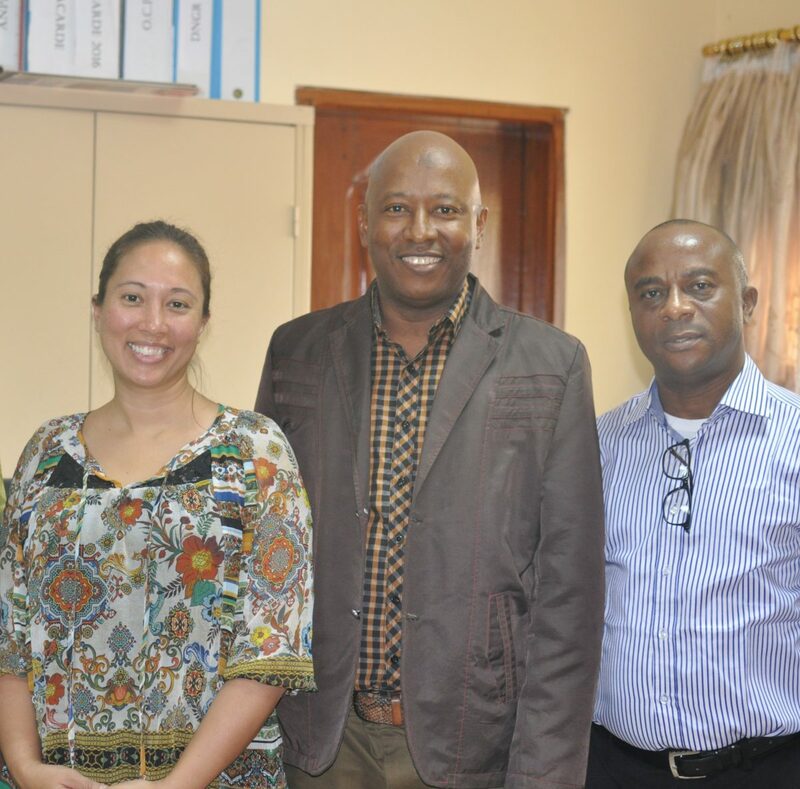 The Host for this project was Mr. Emmanuel Nehemiah of the Nehemiah Foundation. As I learned more of Mr. Nehemiah’s vision for local farmers to support Kaduna’s community I became excited about the development of the training. The focus of the training was agriculture that incorporated ecological principles with the development and building of organic matter related to on-farm money. I refer to this method as “farming as a banking system” and soil organic matter is the currency. I began the training by showing the farmers the actual nutrients and money associated with 1% organic matter. This idea caught their attention and from there the training was off and running. During the four day training, we visited local farms and discussed methods of farming that would retrain and build soil organic matter. The farms were beautiful as were the farmers. I was honored to learn from them and share what I have learned from my career as an agriculturalist and as an educator in soil health and ecological farming. The challenges these farmers faced was tough. Lack of tools, weather, seed, and working with pastoral grazing were just some of the everyday tasks on their list and yet they produced a crop every year. Back in the classroom, I showed slides of soil science technology and ecological farming methods. As the day progressed, we as a group discussed the science as well as the methods to assure everyone understood how farming using soil ecology was cost effective and would save them money as well as restoring their natural resources. 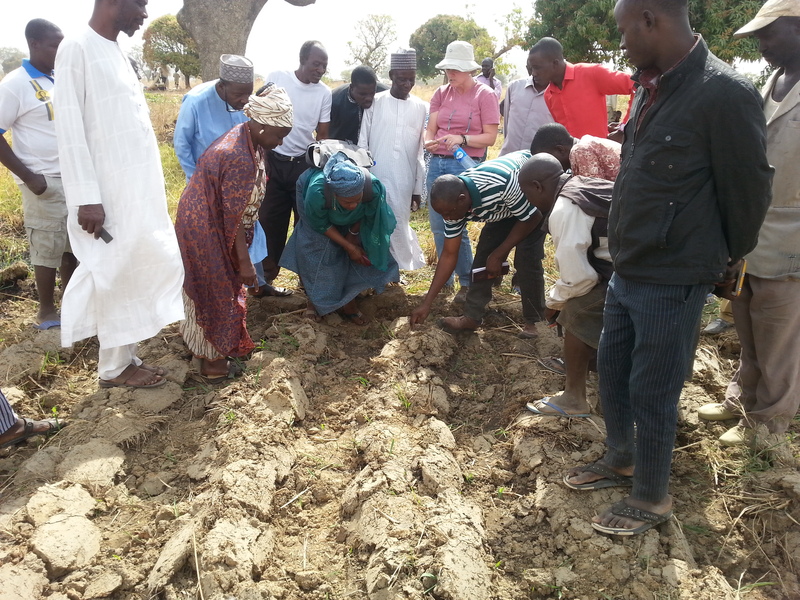 Each day of the training was filled with lively discussions regarding how Kaduna could adopt ecological farming and work together to provide produce to the local community. It was wonderful. The whole experience was life-changing. I truly enjoyed working with the farmers and the Nehemiah Foundation to formulate a practical manual for guidance on ecological farming. I also enjoyed showing the farmers how the production of soil organic matter would save them money. Upon leaving, my new friends of Kaduna welcomed me back in the future, which I would enjoy!